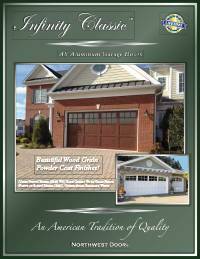 American Garage Door & Gate Systems is proud to be an authorized distributor of Northwest Garage Doors. 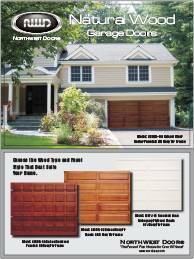 Your garage door is typically one of the most prominent visual features on your home. However, your garage needs to be more than just attractive; it should complement your home with beauty and functionality. Our Therma Tech™ garage doors do exactly that. 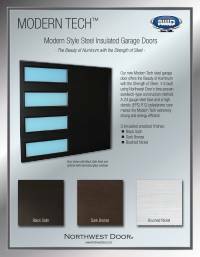 We have four door models (R9 through R16), four panel styles, and four standard colors to choose from. All are available with dozens of window/glass options so you will find the perfect look to complement your home. 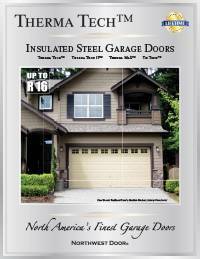 Therma Tech™ doors can also be easily field painted by others to meet your exact color requirement. 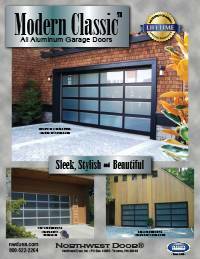 Modern Classic is constructed of commercial grade extruded aluminum alloy stiles and rails. Mechanical fasteners that connect the stiles and rails are extremely strong and visually undetectable. The Modern Classic comes standard with a clear anodized finish. Optional finishes include black anodized, dark bronze anodized, white Polycron® III polyester finish and many non-stock colored Duranar® painted finishes. The white polyester finished doors can also be easily field painted to your exact color requirement.